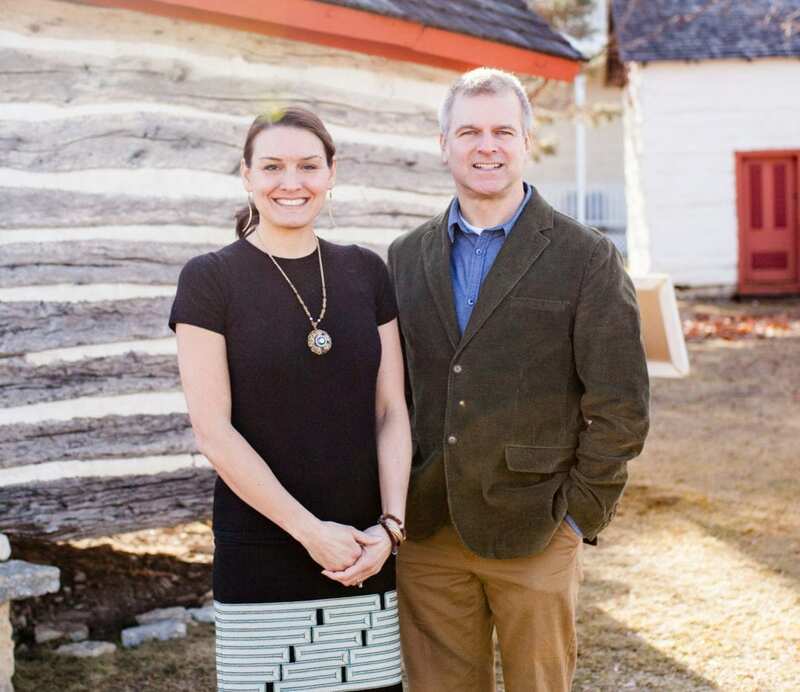 We are thrilled to introduce our new Folk Art School team leaders, Lea Donhowe Lovelace and Aaron Burmeister! Lea comes to the museum from Luther College, where she worked as adjunct faculty in the Visual and Performing Arts Department. While at Luther College she co-led several January-term study trips abroad. Many in Decorah know her as a co-founder/director of ArtHaus, the community’s popular center for visual and performing arts, and through Vesterheim’s Barnetimen program and her other contract work with the museum. But Lea says it is museum education that is her first love. She earned her Master of Arts in art education, with an emphasis in museum education, from the School of the Art Institute in Chicago, IL, and she worked as Manager of School Programs at the Museum of Contemporary Art in Chicago from 1999-2003, and later as an independent contractor from 2005-2007. Lea has a real passion for youth education, she says, and she looks forward to creating intergenerational and family programming that can help pass on traditional skills to whole new generations. Aaron comes to Vesterheim from Decorah’s Seed Savers Exchange, Bethany Lutheran College, and the Indiana University School of Music. He says that he has always worked for mission-driven institutions and loves being surrounded by curious people learning about history and the expressive arts. “Being at Vesterheim is stimulating and energizing as we strive to serve people of different ages and perspectives,”Aaron observes. He has a doctorate from the Indiana University School of Music and also loves to weave. He has taken several weaving classes at Vesterheim himself and so enjoys both a student’s and an administrator’s point of view. Stop by to welcome them the next time you’re at the Folk Art School!